James begins Chapter Nine of his book with a puzzle. There are two huge jars of poker chips, each with millions of chips inside. One has 70% red chips, the other 70% blue. If a dozen chips are taken from one of jars, and eight or these are red, what is the change (in %) that this is the “mostly red” jar? Most people say something between 70% and 80%, but the answer is actually 97%. Bayes Theorem can be used to work this out, but that isn’t the point of the puzzle. The point is that people are too conservative. James is warning about the danger of being either a perma-bull (always positive on the market)- or a perma-bear. This is somewhat ironic, as James points out, since he is often accused of being a perma-bear. And the perma-bears (like the perma-bulls) rarely make money. But then most of them are not big investors anyway. They produce market letters, do strategy for investment banks, or write for the FT and the Wall Street Journal. James thinks that both crowds are attention-seekers. The job of a money manager is not to be dogmatic . . . neither is it to make friends; it is to make money. James was bearish following the dot com crash until late 2008. By March 2009 (which turned out to be the bottom) he thought markets were very cheap. When I expressed this viewpoint, I got hate mail from perma-bear clients. James moves on to a psychological experiment, this time using pyschologists as subjects. Participants were given a profile of a young man, Joe, who was seeking help. In stage 1, they were told he was 29, white, unmarried, and a veteran of World War II. He was a college graduate working as a business assistant in a floral decorating studio. This minimal information was designed to establish a “base rate”. Stage 2 added 1 1/2 pages of information about Joe’s childhood. Stage 3 was 2 pages on high school and college. Stage 4 covered his army service and life up to the present. So this is another of the “more information doesn’t help” experiments. Average accuracy after Stage 1 was 25%, but only 28% by Stage 3. But confidence went from 33% in Stage 1 to 53% by Stage 4. The proportion of participants changing their minds dropped from 40% in Stage 2 to 25% in Stage 4. The psychologists formed stereotype conclusions from their first fragmentary information and were reluctant to change them. The chart above1shows how analysts are basically only good at telling you what has just happened. 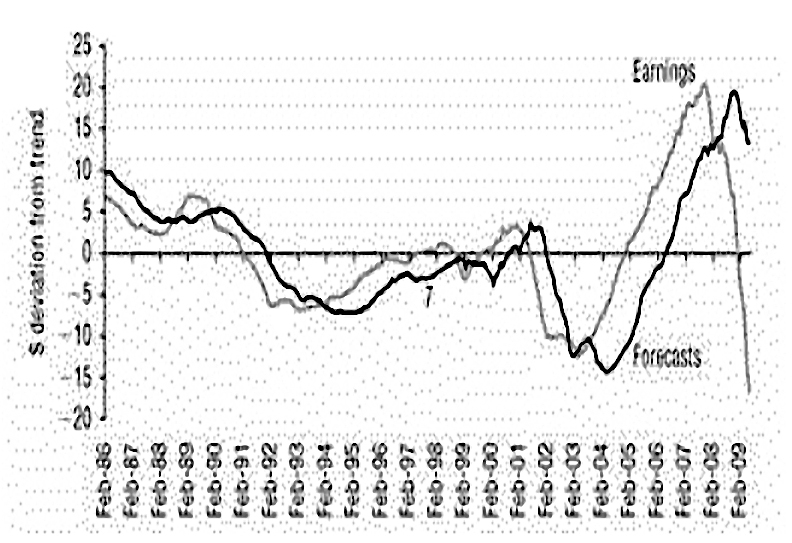 It shows deviations from trend in dollars-per-share earnings. Analysts only change their forecasts after the results prove them wrong, and even then they do it to slowly. This is anchoring followed by slow adjustment. James says that in 2008 (when he was a strategist at SG in London), his bank’s analysts checked with the companies how they thought the recession would affect them. Of course the companies claimed it wouldn’t affect them. Analysts rarely go from buy to sell (or the opposite). Their preferred sequence is buy to add to hold to reduce to sell. By the time they reach sell it is usually time to buy it again. People underreact to things that should make them change their minds. People tend to underreact in unstable environments with precise signals (turning points), but overreact to stable environments with noisy signals (trending markets). James thinks that sunk costs underly conservatism. We hang onto our views too long simply because we spent time and effort in coming up with those views in the first place. He quotes a test where as the president of an airline company, you have invested $10M into a stealth plane project. When the project is 90% complete, another firm starts to sell a cheaper, faster stealth plane. More than 80% of people would still invest the last 10% of money ($1M) into the project, even though it is doomed. But when the project is reframed so that the $1M is the first 10% of a stealth plane project (to begin after the competitor has released theirs) more than 80% say no. James recommends always starting with a blank sheet of paper. For example, in asset allocation, don’t look at what you have now, and how to adjust it. Start from the beginning – what would your ideal asset allocation look like today? He suggests an “analyst amnesty” with no recriminations for changing recommendations. An alternative is peer review, where people look at someone else’s investment plan for flaws. This is one of the benefits of financial coaching, discussed in more detail here. This removes the anchoring / sunk costs. It’s also the thinking behind the traditional “devil’s advocate” approach. Imagine you are a juror on a murder trial. But instead of the jury deliberating as usual, you just write down whether you think the suspect is guilty or innocent. In the next run of the experiment, the prosecution is allowed to tell a story, but the defence can only use witnesses to refute the story. Guilty verdicts now rise to 78%. When only the defence can tell a story, guilty verdicts fall to 31%. Another experiment involves a medicine. Participants were given “base rate” information on the effectiveness of a treatment. These ranged from 90% cured down to 30% cured. They were also given a positive / negative / ambiguous story about an individual patient’s outcome. When asked whether they would take the treatment if they were diagnosed with the disease, people ignored the base rate information in favor of the anecdotal story. With a base rate of 90% cure, 88% of people took the medicine after a positive story, but only 39% after a negative story. With a base of 30% cure, 7% took the medicine after a negative story, but 78% said yes after a positive story. James suggests that “price may even act as a story” – the “you get what you pay for” fallacy. How else can branded drugs be sold for 10 or 20 times the price of the same generic? 85% of people report less pain when told that the pill they swallowed was expensive, but only 61% when told the pill was cheap. The same results have been found with blind wine tastings (using the same wine at both price points). Joel Greenblatt has said that people shy away from value investing because value stocks have poor stories and low prices. The companies that show up on the screens can be scary and not doing so well, so people find them difficult to buy. Fortune magazine publishes annual lists of the most “Admired” and “Despised” stocks. The admired stocks have great stories and high prices, whereas the despised stocks have terrible stories and low valuations. Yet the despised stocks significantly outperform the market, as well as the admired stocks. Similarly, IPOs generally have great stories, but they make bad investments (see here for more detail). Investors usually overpay – there is no margin of safety. It’s common for an IPO to miss an earnings forecast within the first year or so, and for its share price to crash. In the US the average IPO has underperformed the market by 21% pa over its first three years (from 1980-2007). One study reverse engineered the price at which IPOs came to market, to find the implied cash flow growth rate that investors thought these stocks had. The average price implied 33% yearly growth. The average delivered free cash flow growth was -55% over five years. James describes the capitalization of hope – what Ben Graham called “the capitalization of entirely conjectural future prospects” – as the the most common mistake made by the investors he meets. Rob Arnott et al looked at the price of a stock back in 1956 and compared this to the delivered cash returns to investors (dividends and repurchases) over the next 50 years. The market never failed to overpay for the long-term realized successes of the growth companies, even though the market chose which companies deserved the premium multiples with remarkable accuracy. Nearly half of the price-implied relative growth failed to materialize, so investors were paying twice the fair premium for growth. James uses the mining sector as another example. The story was that “China would grow to the sky”, leading to a “supercycle” in commodities. From 2003-2007 there was a big surge in earnings in the mining sector, as shown in the graph above. They forecasted 12.5% pa growth foreseeable future, double the historic rate. Instead of a super cycle, we got the largest downturn since the Great Depression. Straight line extrapolation of growth is a classic sign of trouble ahead. Stories have emotional content and appeal to the X-system (system 1) -the quick and dirty way of thinking. To use the more logical C- system (system 2) you must focus on the facts. According to standard models of finance, stock market bubbles shouldn’t exist, yet they date back to 1720 (the South Sea Bubble). Before that we had Tulipmania (1637). A (real) price movement that is at least two standard deviations from trend. On normally distributed price data (as per the efficient markets hypothesis) this should happen only once every 44 years. But there have been 30+ bubbles since 1925 – more than one every three years. And every one burst (went back down two standard deviations). That should happen once every 2,000 years. Both Alan Greenspan and Ben Bernanke argued that it was impossible to diagnose a bubble before it burst, and that the best a central bank can do is mop up afterwards. The credit crisis of 2007/8 was widely predicted. Robert Shiller reissued his book, Irrational Exuberance, in 2005 with a new chapter dedicated to the housing market. 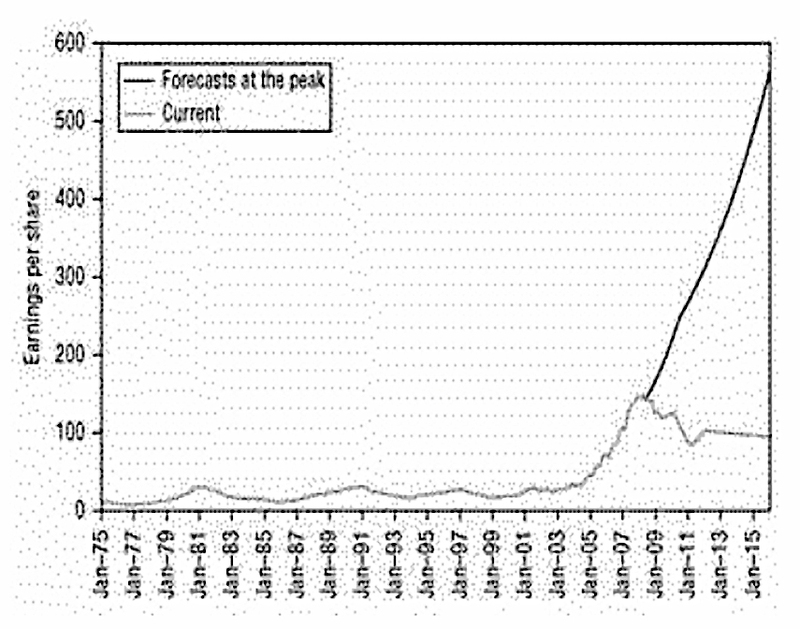 James himself wrote a paper in 2005 arguing that the U.S. housing market was a mania. If markets seem too good to be true, they probably are. We’ve all seen the timeline above which runs from optimism to euphoria, down through desperation and despondency and back up to optimism. James uses a framework dating back to 1867, and John Stuart Mill. 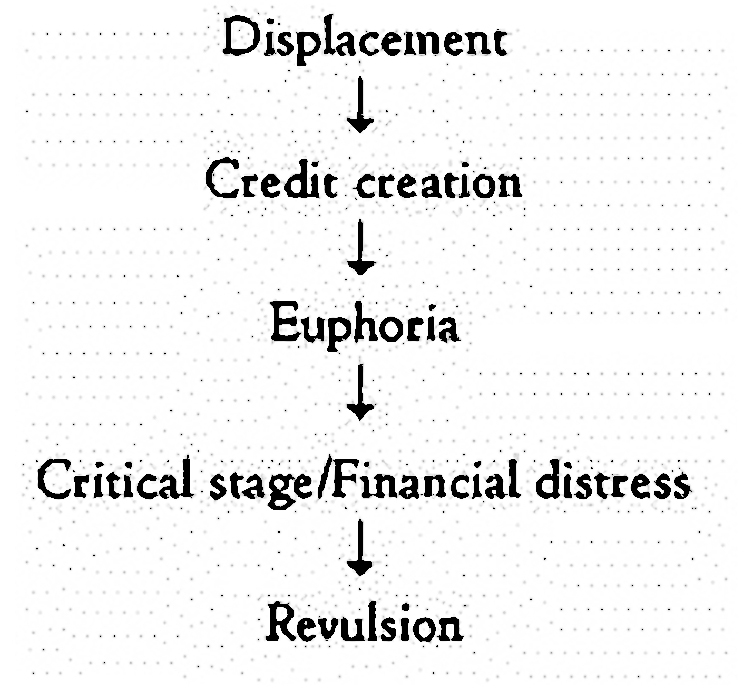 This model was also used by Hyman Minsky and Charles Kindleberger, who wrote a book called Manias, Panics and Crashes. Bubbles should be prevented by arbitrageurs who drive prices back towards equilibrium. The vast majority of professional investors don’t do this because they are benchmarked against an index and fear underperformance (career risk) above all else. They are paid according to assets under management, so they hug the benchmark. 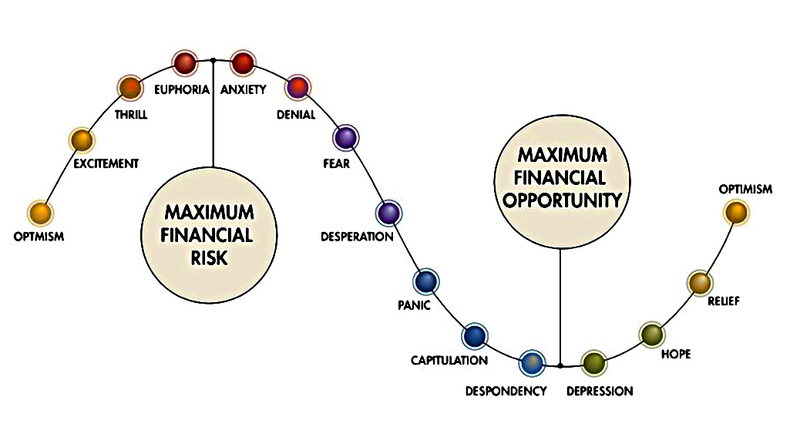 As an individual investor you don’t have to worry about career risk. This is your greatest advantage. Self-attribution bias is our habit of attributing good outcomes to skill while blaming bad outcomes on something or somebody else. Psychologists looked at whether athletes and sports coaches attributed performance (good or bad) to an internal factor (themselves or the team) or an external factor (such as a bad referee or luck). Following a win, 75% of attributions were internal (to skill). Following a loss, only 55% were internal. The same thing happens with investing. 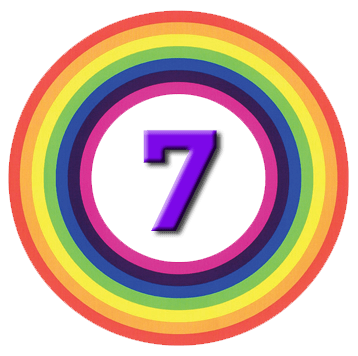 To combat self-attribution, keep an investment diary – a list of the decisions you take you take and the reasons behind them. Was I right for the right reason, or was I right for the wrong reason? Was I wrong for the wrong reason, or was I wrong for the right reason? An investment diary also protects against hindsight bias. Once we know the outcome, we think we knew it all along. We enjoy an Orwellian rewriting of history after each bubble. A deluge of texts appears telling us what went wrong and why, usually penned by those who hadn’t spotted the problem in the first place. James quotes an experiment based on the fight between the British and Gurkha guerillas in India in 1814. Half the participants were not told the real-life outcome, the others were told randomly that one of the four options was what really happened. Labelling any of the options as “true” dramatically increased the likelihood assigned to it. People aren’t capable of ignoring the outcome in their analysis. An investment diary holds us true to our thoughts at time of our decisions, not to a re-written version of events after we know the outcomes. We’re three-quarters of the way through the book, and on track to cover it in four articles. I’ll be back in a few weeks with the final section of the book, which covers ADHD, Lemmings, When to Fold and Process. Today's post is our second look at James Montier's Little Book of Behavioural Investing.